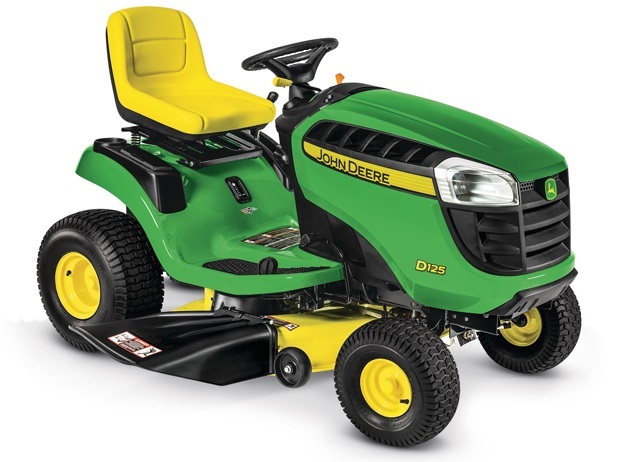 The D125 Tractor, with its automatic transmission and powerful V-twin overhead-valve engine, is a great value. It has a 42-in. (107-cm) mower that is ready to side discharge, bag, or mulch. A wide range of attachments and implements are available to help you accomplish even more in your yard.